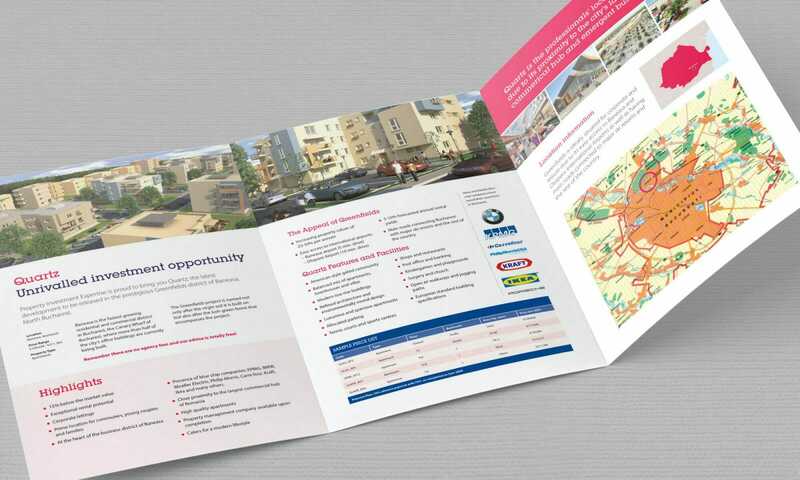 Information highlighting a property development opportunity just outside Bucharest, Romania. 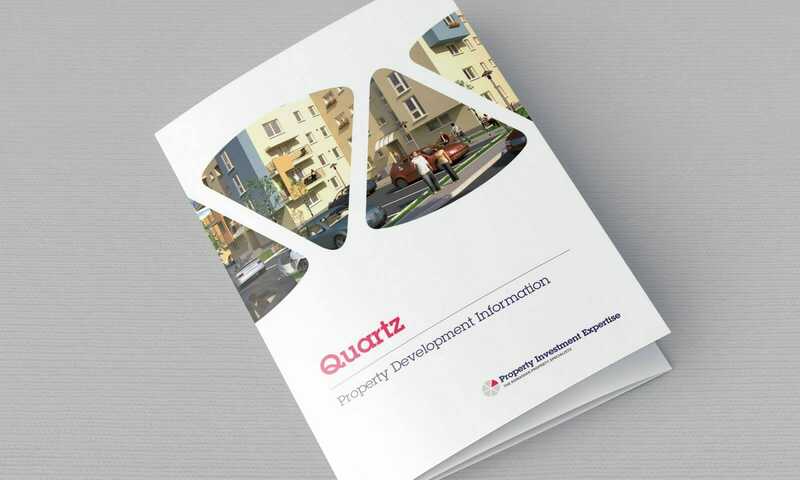 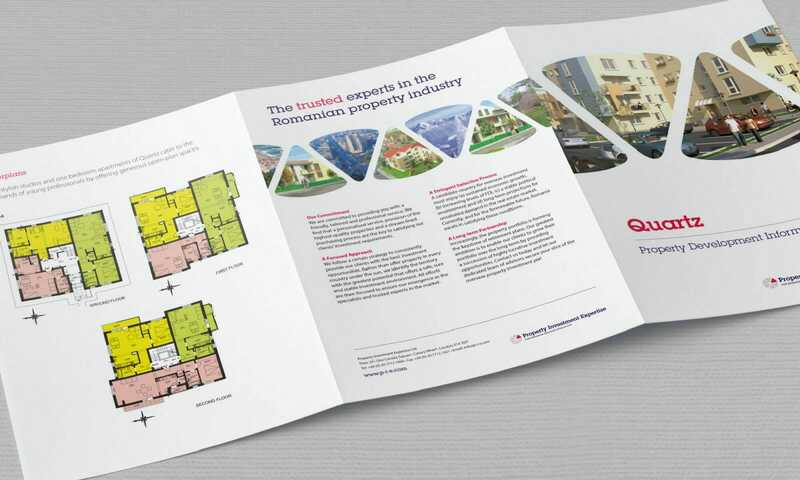 In order to promote various property developments in Romania, Property Investment Expertise required a leaflet to encompass a wealth of information. 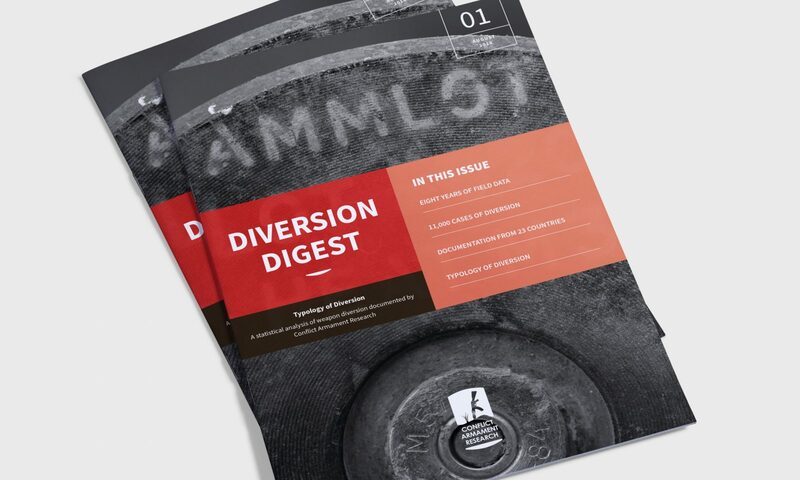 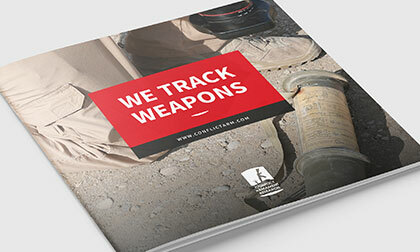 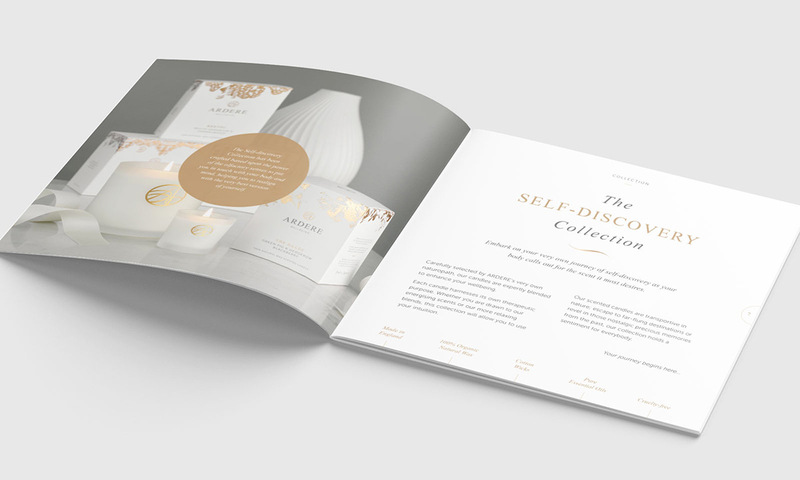 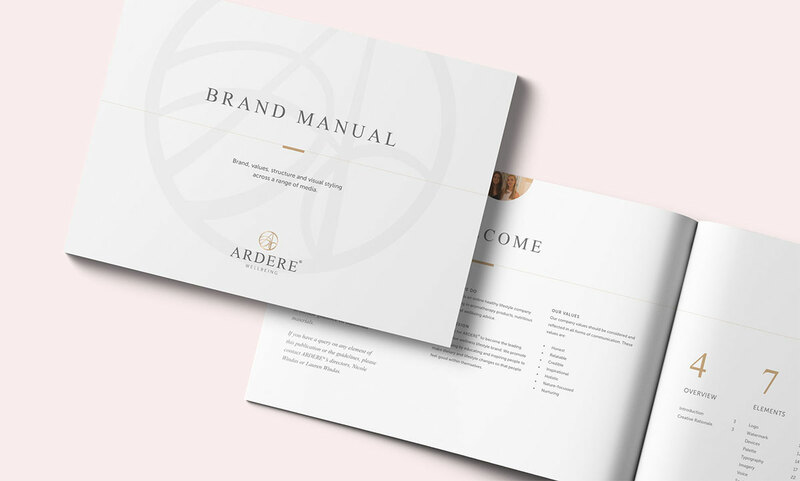 The cover mimics the style adopted for their promotional card, forms and website with the pie segments home to the main image of the development.